The traditional Super Jumbo model, with its prominent lower bout and tight waist, is arguably the most versatile of all guitar models. Well, here it is! 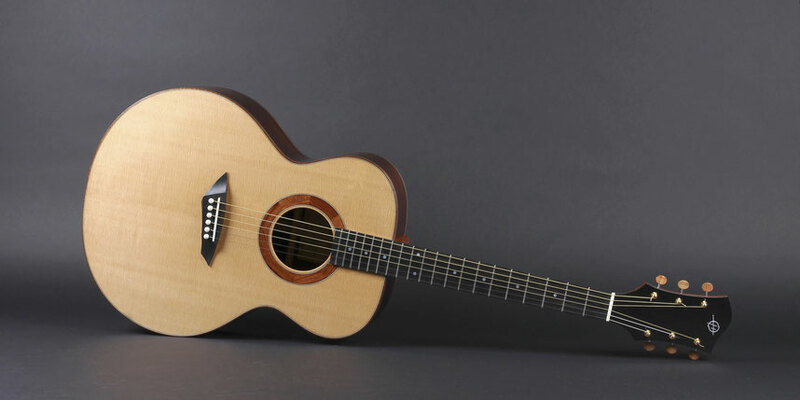 Heeres Guitars, in close collaboration with B | s | m | r Guitars, have re-designed the Super Jumbo model to a manageable size, while preserving its tonal properties at a surprising volume. In a nicely paradoxical mood, we've named it Small Jumbo. This guitar will give you the full bodied, big sound of its larger cousin, with all the characteristics today's guitarist appreciates so much. Only this time, you can get your arm around it!